Lens Description: The Mamiya 150mm f/3.5 is a compact telephoto lens suited for a variety of uses.rnrnMamiya lenses are quality controlled at all stages. They are engineered for professional use. 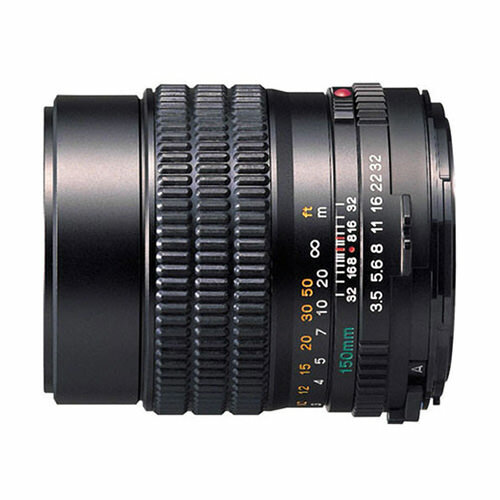 Mamiya manufactures its own glass and coats the lens elements using Mamiya\'s proprietary multi-coating process, increasing light transmission, dramatically reducing flare, and ensuring crisp, clean whites and vibrant natural colors.